The idea of this project was to create a series of three shopping bags for a fictional company based on the word "peek" or "peak." 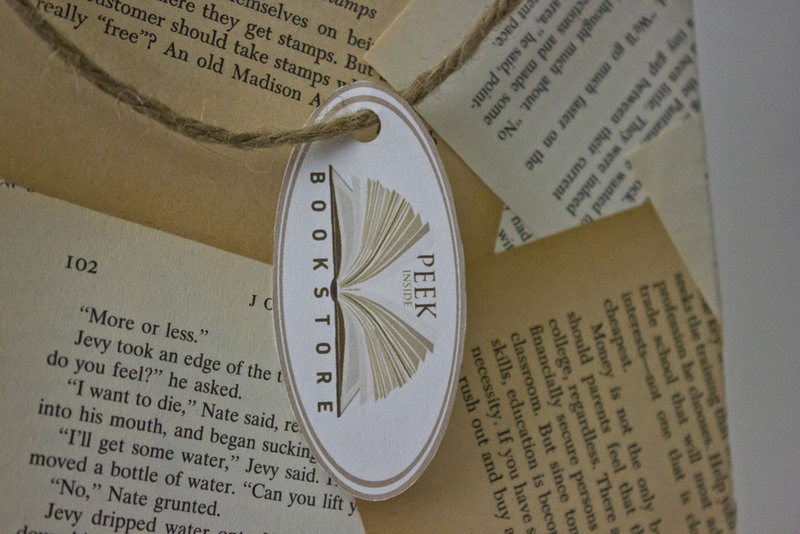 I created shopping bags for a company I created named "Peek Inside Bookstore." The idea behind the bags is that there would be a children's bag, a teen bag, and an adult bag, however anyone could choose whichever bag they wanted. I created the bags out of pages from popular novels based on each age range.